Located in the Baltic region of Northern Europe, Estonia has much natural beauty for expats to appreciate. 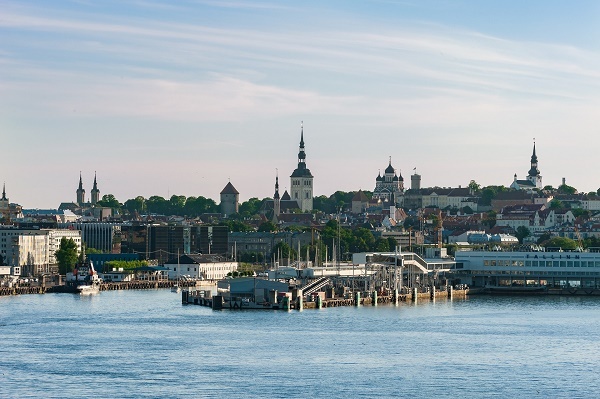 Estonia’s economy made it to the 11th freest in the 2014 Index. With improvements in property rights, Estonia is ranked 4th out of 43 countries in the Europe region, and its overall score is thriving above the regional and world averages. Estonia has also focused on the availability of education on cybersecurity – it is the birthplace of Skype. Estonia is a country of around 1.4 million people situated on the Baltic Sea. The official language of Estonia is the Estonian language. The Estonian language is related to the Finnish language, spoken in neighbouring Finland. The Estonians have lived in this country since the beginnings of its recorded history. It remained a pagan country into the 1200s, when it was conquered by Christian crusaders. Following the Protestant Reformation and more warfare in the 1500s, it became controlled by Sweden. The territory was lost to Russia in the year 1721. Germans continued locally to govern the Estonian people throughout this time, until serfdom was ended in the year 1816. With the German invasion in the First World War and the rise of the Soviet Union, Estonia became an independent country, until 1940 when it was illegally annexed by the Soviet Union. This act was never recognized by the United States, in accordance with the Hoover Doctrine. When the Soviet Union collapsed in 1991, Estonia again became independent, and it joined the European Union in the year 2004. Estonia has been using the euro as its official currency since 2011, but it is not represented by one of the 12 stars of Europe on the design of the euro, as these represent the 3 countries of Benelux and the other 9 countries that first began sharing the same currency. Typical ingredients used in Estonian cooking include potatoes, black bread, sauerkraut, and sausage. On the night of June 23rd, as in neighbouring regions, Estonians celebrate St John's Eve by lighting bonfires, jumping over them, and getting drunk. The population of Estonia has been shrinking every year since 1991, because of low birth rates coupled with high emigration rates. Relatively few people have been moving to Estonia lately, but there are a few scattered expatriates. Estonia has been taking a leading role in the Information Society, with one of the most advanced e-government services in the world. In fact, the currently popular social application Skype was created and is maintained in Estonia, by the same Estonian developers who created Kazaa, which was popular a decade ago. Estonia has a democratically elected Parliament and Prime Minister. Services, construction, agriculture, industry and electronics are important economic sectors in Estonia. Recent polls show that a vast majority of Estonians today profess no religion, making them second only to China in that regard. Around a quarter of the population are Christian, mostly Lutheran or Orthodox. Estonia is a country with 1,500 islands located in North-eastern Europe, facing the Baltic Sea. Though considered to be an archipelago, you will find it amusing that 50% of Estonia is made up of thick forests and well-preserved wildlife. It also has a deeply-rooted tradition influenced by medieval and Viking culture. But if you think that Estonia might be a little behind when it comes to technology, you will be surprised that you can do almost everything online. They are implementing a modern and hassle-free approach to everyday life including healthcare assistance and education. Here are some of the essential things that can aid you in your relocation to this beautiful Baltic country. Estonia has a low cost of living especially when it comes to accommodation. There are online portals where you can get quotes and locations of real estate properties. You can also ask the locals and fellow expats for referrals but the easiest way is to look for local realtors who can help you in finding the best house/apartment. One of the first things you should expect when moving abroad is that the rental cost doesn't usually include the payment for utilities. In the city, the average monthly cost of your essential services like water, electricity and gas is €200. Your bill for internet connection runs around €20 per month while a prepaid mobile call is charged roughly €0.05 per minute. There is a small number of expats living in Estonia since it is just starting to make its name as a relocation destination for foreign nationals. You will find most them residing in Tallinn, the capital of the country and centre of business, culture and nightlife. The monthly rental costs for a one bedroom apartment is €450 while a three bedroom unit is around €700. If you want a community with a more laid back vibe, you can consider Tartu. Here, you will be neighbours with students from the Tartu University and families that enjoy the city’s quiet lifestyle. You can find accommodations like a one bedroom apartment at around €300 per month and a three bedroom apartment at roughly €600 monthly. The government and state of Estonia is providing free education during the primary years or Pre-school level and are implementing mandatory education that starts at age 7 up to age of 17. There are several international schools in Estonia like the Tartu International School and the International School of Estonia that provides comprehensive curriculum for expat children. You can also enrol your child in the country’s well established local schools like the University of Tartu that’s been providing quality education since 1632 and the prominent Tallinn University. You can seek assistance from international shipping and removal companies to help you bring your belongings to Estonia. They will pick it up from your address, ship the packages, and deliver your belongings to your new home. The average shipping time to Estonia is 5-9 business days which might still vary depending on your country of origin. Containers will arrive in the Port of Tallin where local customs officers will conduct an inspection. All domestic animals entering Estonia should have Full Vaccinations within the last 12 months or not less than four weeks before arrival. If your pet is coming from an EU country, ask your veterinarian to issue an EU Vet Health Certificate 4 months before your planned departure date and make sure it’s Pet Passport is up to date. Animals coming from other countries should have the standard International Health Certificate. Estonia is a humble country when it comes to popularity among expats who are moving abroad. But with its progressing economy, political stability and breathtaking sceneries, it's no doubt that this nation will exceed all your expectations. From Soviet Union to the European Union, Estonia is a nation that is proving to be a progressive and a strong one even as the newest addition to EU. This country’s economy can be said to be the fastest growing among other countries in the world and just the right place to make a fresh start for expats. This Baltic state’s economic activity is largely fuelled by major industries such as engineering, electronics, wood and wood products, textiles and telecommunication. Estonia has total inhabitants of 1.3 million people, and though it serves as a home to magnificent medieval architecture, picturesque landscapes and verdant forests, the population of expats in the country is still quite small. Given the minimal number of foreign nationals, it is quite evident that Estonia is not yet an ultra famous European destination. However, with its radiating charm, progressing economy and affordable cost of living its no wonder why this captivating Baltic country is rapidly earning its rightful place on every expatriate’s map. 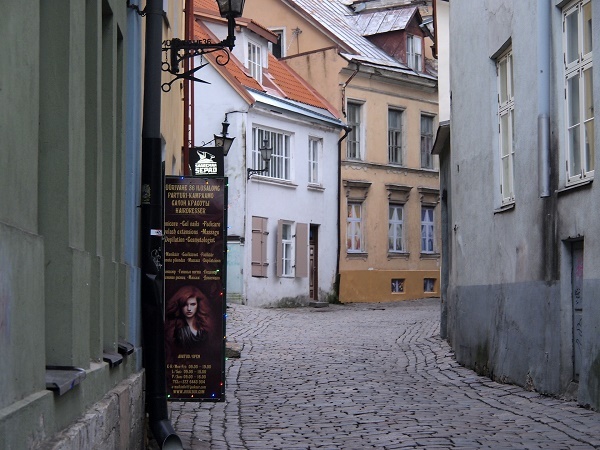 Estonia is overflowing with great historical heritage that every expat must explore. Whether you are single or with kids, this country has everything you need to keep you far from bored. Many people visit Estonia because of its world renowned medieval city- Tallinn. The Tallinn's Old Town is on the UNESCO World Heritage List and is one of the most preserved and protected medieval cities in Europe. Expat with children can make the most out of this country’s short summer season by taking a dip at the Tervise Paradiis, a massive water park and stunning 4-star spa hotel that overlooks the beautiful summer capital Pärnu. Those who prefer to enjoy while staying outdoors can head to either one of Estonia’s 1,500 islands. Most of the islands in this country are untouched and emanate a strong rustic vibe. Some of the most popular destinations are Saaremaa, Hiiumaa, Ruhnu and Vormsi. The local cuisine of Estonia has strong influences from the Scandinavians and Germans. One of the most authentic Estonian dishes is the verivorst which is black pudding served with mulgikapsad (sauerkraut stew). Cold dishes are also a staple in this Baltic country’s local cuisine. A selection of sausages and meats are served with rosolje or potato salad mixed with beetroot and herring. Black rye bread is also a common sight in every Estonian dining table. It is normally served with almost every savoury dish. The people of this country love desserts and expats shouldn’t miss taseting some of the signature Estonian desserts such as mannavaht (cream made from fruit or juice) and kompott or kohupiimakreem (creamy curd). Other must try are the sweet yeast bread seasoned with cardamom and rhubarb pies. Though most restaurants and establishments now serve locally brewed beer, expats should still take a sip of mõdu (mead) or kali, a traditional drink similar to the kvass of Russia. This country’s office language is Estonian which is somehow similar to Finnish. It is still widely spoken by many of the locals particularly by the older generation. English is spoken in Estonia particularly in urban areas and major cities. Russian can also be heard in this country and serves as the mother tongue of around 45% of Tallinn’s population. Though expats who are about to live here can get by with speaking the universal language, it will still be quite useful to learn some Estonian words and phrases. What’s your name? - Mis teie nimi on? My name is.. - Minu nimi on..